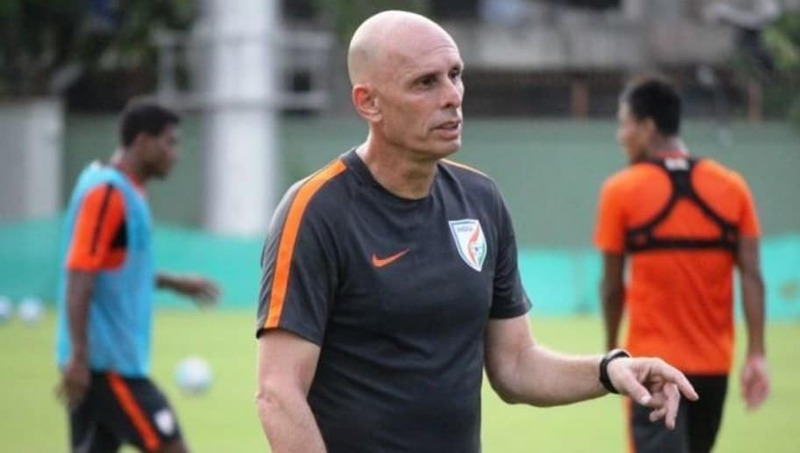 ​The All India Football Federation (AIFF) has released an official statement in reply to all rumours and reports that claimed that current Indian national football team coach Stephen Constantine will be sacked after the upcoming AFC Asian Cup in January next year. In his interview with ​AIFF's official website, Kushal Das, General Secretary, AIFF stated, "It's completely baseless and utter rubbish. We are completely focused on AFC Asian Cup UAE 2019 and the team has been performing excellently under Stephen Constantine having risen to 97 from 173 in the FIFA ranking within less than 4 years. It is sad that media is indulging in baseless and silly speculation before such an important tournament of the national team." He further added, "We all are focused on the massive tournament right now and we'll only sit together to discuss this once his contract ends on 31st January 2019." ​Constantine took charge of the Indian national team back in 2015, when the Blue Tigers were ranked 173rd in FIFA rankings. Since then, Indian football has been on a meteoric rise which has led to their ranking come up to 97 in the latest ranking released by FIFA. India are currently preparing for the upcoming AFC Asian Cup in UAE in Abu Dhabi where they'll face Thailand in their first match at the Al Nahyan Stadium on January 6, 2019.